This week I'm going to talk about daytime soap operas! Let me remind you that This Week's Primetime TV Show News Page is here and next week's will be here . We put up a list and episode description for each network show, plus video clips and more! First, a little background.... although soap operas used to bring the networks a lot of money, they didn't treat the soaps very well (or the people who ran them) because they were seen as being for "housewives." What they never considered (beyond their sexism) is that those housewives' children and husbands often watched the shows as well, and many gay men as well as anyone who works nights. 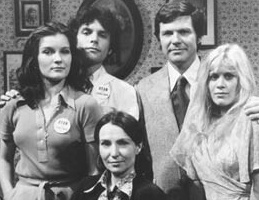 Back then, there were only 3 major networks, but there were many soaps on every day. With women's empowerment, going back to work and out of the home, eventually the ratings for soaps were affected, starting in the 90's. There were also other factors, such as the rise of the internet, DVD's and video games, which affects all TV programming, not just soaps. Also, the quality of the soap writing really was not getting any better. Primetime programming has really improved since the 80's, but daytime programming has not. However, many primetime TV shows are now primetime soaps (with ongoing storylines and lots of romance and drama), so many soap fans just watch those now instead of daytime soaps. This led to most soaps getting canceled, so that now there are only four daytime soaps on the air. Their budgets have been sliced to the bone, and some of them do finally seem to be improving their stories, to a certain extent. There are still way too many contrived stories, clichés, stereotypes, and boring parts, not to mention recycled storylines, for my taste. They do, however, now have many more minority and gay characters, and for the most part, women are strong and empowered (not just waiting around for a man to save them). Don't forget to read our Primetime TV show Reviews and Interviews! I started watching soaps in college, in the 80's, with "General Hospital" and "Santa Barbara," and I eventually added many others to the list. Over the years, I would tape them as well. I was always falling behind, though, and then a few years ago, I realized that the soaps had gotten really bad, so I stopped taping them. 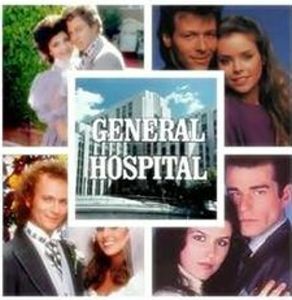 "General Hospital" was always my favorite, so I kept watching that one, but last year I just fell behind. There are so many great primetime shows out there, that it's hard to watch anything that's less than excellent. It certainly didn't help when Luke left town, and then th ey killed off Silas (Michael Easton). I still record it to watch later, but who knows when I'll catch up? They did change writers, so maybe the show will be good again. 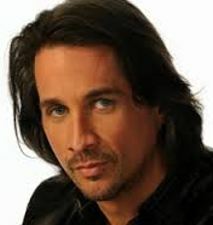 I was very happy to read that Robert Scorpio came back, and even more now that Michael Easton is returning! Yay! The only soap I've been invested in for the past year has been "The Bold & The Beautiful." I loved the story with Maya being transgender. The show has been up and down since then. Some of the writing is good and other writing is awful and even ridiculous. It's only a half hour show, thankfully, so it's easy to skip the awful parts. The story lately with Katie (Heather Tom) has been outstanding. It's great to see her playing a more fierce character instead of just the boring, nice sweet mom. I hate all of the story they've had going for the past few months with Liam, Wyatt, Ivy and Steffy. With these people always falling down stairs, tripping and hitting their heads, etc. it's been a little bit like watching "The Three Stooges!" Totally unbelievable. The only part of this story that I have enjoyed is Liam being taken care of by Quinn. I sure hope they don't have any actual romance because that's just too creepy. They are both fabulous actors with great chemistry, though, so it's fun to see them together. They are calling them Quiam on Twitter! I've been watching a few episodes of "The Young & The Restless" as well. That's a show I've been watching off and on since 1986. I really love Justin Hartley (Adam), so he's the main reason I watch the show now. I'm glad that Jason Thompson (ex-Patrick, GH) has joined the show as the new Billy. He's always good. I'm also ecstatic to see Michael E. Knight (ex-Tad, AMC) on the show. He's wonderful, and I like this possible new romance with Ashley. I like this story with Sage going into the mental hospital in order to dig up dirt on the psychiatrist, even though that story is very far-fetched. 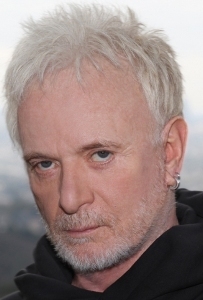 I mean, Nick is rich, so why not just hire a p rivate eye? Makes no sense and it's very silly, yet I am enjoying it. I don't hate the other actors, but the other stories are just not as interesting to me. I don't really like "Days of Our Lives" at all this year, but I do still love the actors. The past 6 months were very violent, with many deaths, a serial killer and more. And now Hope has killed Stefano, and Rafe helped cover it up. This is not what we watch soaps for. We want romance, not more death, killing and torture. I mean, a little bit of drama, heartache and tragedy is okay, but not this unrelenting death, sadness and despair...come on! I don't mind the story about John finding his past and all that; even though it's more like the silliness that Days often has with spies, mind control etc. because John has pretty much always been involved in that kind of thing. I love having A Martinez on the show, as well as Vincent Irizarry. They are both awesome. I just wish they hadn't killed off Daniel. 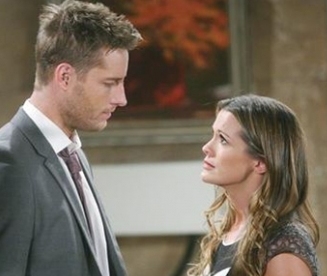 I hear Abby is leaving, too, which is a shame because I like her romance with Chad. 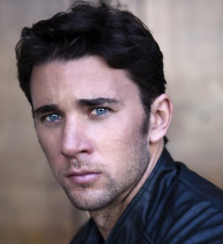 The actor who plays Chad (Billy Flynn) has been nominated for an Emmy, and he really deserves it. That young man will go far, no doubt, in Hollywood. The stories on the show do seem a little tighter now, so I hope that continues. It's a shame they seem to have gotten rid of all of their gay characters and stories, though. Speaking of soaps, this NBC show "Telenovela" is pretty cute. It's about a Spanish-language soap opera. Eva Longoria always does a good job. She used to play Isabella on "The Young & The Restless!" Most people say they don't watch soaps, but then they will admit that they watched them in college or when they were little. Which soaps do you or did you watch? Let us know below!